Mario received his B.S. in Industrial Chemistry from the University of Milan, achieving a Master’s degree in formulation chemistry and composite materials in 2001. 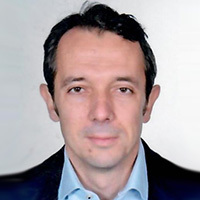 He has more than 15 years’ experience in the polymer industry covering different managerial roles in research and development, process technology and technical service for several middle size and multinational corporations such as Bostik, Organik Kimia, Ichemco, Dow Chemical and Vinavil in Italy and other countries. In addition to successfully managing development programmes for wood, paper converting and general assembly adhesives, rubber and acrylics PSAs, release agents and textile binders, Mario has also undertaken several collaboration projects with the universities of Milan and Nice. From 2014 to 2017, he was an active member of the Afera Technical Committee, where he gave several lectures. Mario recently joined Vinavil as Technical Service and Development Manager, Adhesive and Textile sectors. The use of 1C (component) water-based polyvinyl acetate (WBPVAc) adhesives belonging to D4 class according to EN204/205 (boiling water resistance) in wood joint applications is dramatically increasing versus the well-known traditional 2C glue systems (D3 WBPVAc dispersions + isocyanate or D2 WBPVAc dispersion + inorganic salts). This is mainly due to the improvement of new high performance products’ overall stability from a different perspective, which makes them deployable as ready-to-use solutions, avoiding all the concerns related to crosslinker addition and dispersion pot life. This also limits the user’s operative steps and responsibilities throughout the application process in case of failure. Nevertheless, most of the recent 1C D4 adhesive technologies proposed are still far from fulfilling the overall requirements of this specific durability class; several limitations such as stability and performances over time, strong or sharp smell mainly due to specific crosslinker’s mechanisms, strong glue line colouring, freeze-thaw instability and fragile wooden joints failures in cold conditions still need to be overcome. Thanks to Vinavil wood adhesive expertise, a new 1C waterborne polyvinyl acetate dispersion fulfilling the D4 durability class requirements has been recently developed. The new Vinavil adhesive satisfies the D4 adhesive requirements, shows an excellent stability with a limited viscosity built over time, excellent rheological behaviour to be applied in different coating conditions, low odour emissions, freeze-thaw stability and outstanding performance usually associated with exterior wood load-bearing glues.